VW Emissions Latest News - Page 2 of 25 - Fighting for your rights! We’re now less than 80 days until the VW group action deadline. It’s fast approaching, and the clock for those who have yet to join is ticking. Anyone who has still yet to launch their claim absolutely must do so before the VW group action deadline passes by. We won’t be taking on cases at the last minute either as we need to make sure that the tens of thousands in the action who have already signed up are fully prepared in terms of their cases and the information we need. The deadline for claim acceptance will fall before the cut-imposed deadline. You MUST ACT NOW to avoid missing out. It’s August. This means we’re now two months away from the VW Group Action deadline that falls in October this year. For anyone who has yet to start their claim for compensation against VW as a victim of the massive “dieselgate” scandal of 2015, time really is of the essence. Although the formal Court deadline falls at the end of October 2018, the deadline for lawyers accepting claims is set to fall in advance of the final Court deadline. We’re now less than 100 days until the Volkswagen claim deadline falls. The deadline for accepting claims will fall BEFORE the above Court deadline. 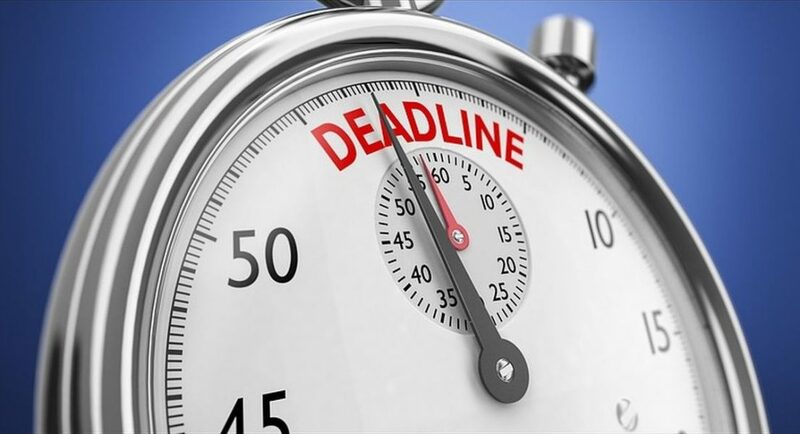 The Court-imposed deadline is essentially the final deadline for claims to be submitted to be a part of the massive legal action in England and Wales that we’re on the Steering Committee for. Although the Court deadline is now less than 100 days away, the actual deadline for your claim to be accepted and prepared will fall well in advance of the court deadline. This means that, if you have yet to start your claim, you must get on with it ASAP to avoid missing the Volkswagen claim deadline. Will “impossible-to-cheat” emissions tests work? Will the new so-called “impossible-to-cheat” emissions tests work? Or, will automotive manufactures find a way to cheat the new tests (again)? The Volkswagen Emissions Scandal brought to light the stark realisation that car manufactures are capable of – and happy to – cheat. There was nothing accidental about the “dieselgate” scandal, which was an intentionally-conceived mission to ensure VW Group vehicles passed emissions testing by cheating. Many are understandably wondering whether the new so-called “impossible-to-cheat” emissions tests will really work. Former VW CEO, Martin Winterkorn, has reportedly received a court summons in Germany to testify in relation to a legal action for compensation. The legal action is understood to be relating to shareholders who are claiming damages from Volkswagen over the “Dieselgate” emissions scandal. According to reports, 28 others are also facing questions, including recently-arrested Audi boss, Rupert Stadler, and Bosch CEO, Volkmar Denner. It’s July 2018, which means the new emissions laws have come into force to stop future Volkswagen style emissions scandals. The new legislation, at the very least, acts as a far better deterrent to prevent future emissions scandals. The new emissions laws have been brought in to specifically crack down on emissions cheats like Volkswagen. To make sure they’re punished for their historic cheating, we’re a part of the Steering Committee of law firms taking legal action against VW for over 60,000 victims in England and Wales. Porsche limiting European sales speaks volumes in terms of the inability of VW Group brands to keep their diesel engines legal. At the time of the announcement, Porsche said that the number of models sold in Europe would be limited as a result of the changes to emissions testing; changes that likely stemmed from the Volkswagen emissions scandal in the first place. Although they’re not the only carmaker to have halted or limited sales as a result of the changes, the Porsche recalls and the “Dieselgate” scandal itself say a lot in terms of the legality of these engines in my view. Let’s take a look at the Rupert Stadler criminal investigations since his arrest in Germany at the end of last week. The development was a major step forward in the pursuit of justice against the individuals within the Volkswagen Group – which includes subsidiary company Audi – to make sure that the people behind the veil of the corporation, and therefore behind the dieselgate crisis, are appropriately reprimanded. Rupert Stadler is the latest high-profile figure to be intimated in the scandal, and we are monitoring the progress of the Rupert Stadler criminal investigations very closely. Big news from the continent: just days after the announcement of investigations into several senior Audi employees, Audi boss Rupert Stadler has been arrested. Audi, as part of the Volkswagen Group, have millions of their vehicles fitted with the defeat devices that have allowed vehicles to cheat life-saving emissions testing. Audi CEO Rupert Stadler’s arrest is welcome news as prosecutors continue to investigate the carmaker for their actions to get to the bottom of who in the VW company is personally responsible for the scandal. According to prosecutors, they have made the arrest after concerns that Mr Stadler might try to ‘suppress evidence’.